Pike Hills Golf Club was formed out of the Hob Moor club and joined the Union in 1946. This was as a result of the Hob Moor course suffering severe damage during the Second World War. It is now a nature reserve. Easingwold Golf Club joined the Union in the early 1960's and there were, at this stage, five member clubs. In 1997 Malton & Norton Golf Club brought the number to six, followed a year later by Kirkbymoorside Golf Club. The last thirty years or so have seen a number of proprietor owned golf clubs opening in the York area, which has resulted in the York Union growing to fourteen member clubs. Forest Park Golf Club was the first of these to join the Union in 2001. The stated objective of the Union is to further the interests of amateur golf and to encourage social contacts amongst members of the affiliated clubs by means of Amateur Championships, competitions and other events organised by the Union. As you can imagine, the administration and structure of these events has changed considerably from the days when there were only four or five member clubs to today with fourteen clubs. For example, when there were only five clubs, the winter Cross Trophies were held on five fixture days over the winter, one at each club, and consisted of teams of twelve playing individually with the best three scores from each club being aggregated. This allowed plenty of dates for rearrangement as a consequence of inclement weather. Now that there are fourteen clubs, the Cross Trophy events have had to be radically reengineered, such that there are now seven fixture days over the winter with two venues on each day, played as better-ball with a maximum of six pairs from each club, with little possibility of cancelled events being rearranged into the busy schedule. The Yorkshire Union of Golf Clubs is the body to which almost two hundred clubs in Yorkshire are affiliated. 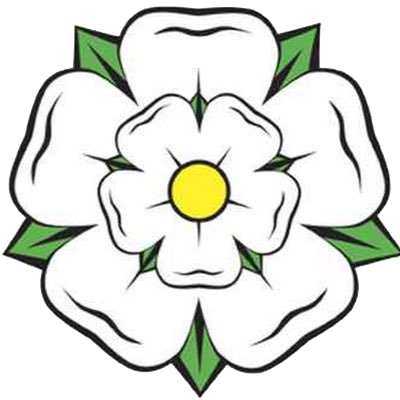 The objectives of the Yorkshire County Union are: to further the interests of amateur golf; To assist in maintaining a uniform system of handicapping; to arrange a County Amateur Championship and other championships and golf meetings; To cooperate with R&A Rules Limited and with the English Golf Union Limited in all matters relating to amateur golf. All York Union member clubs are affiliated to the County Union and all club members are eleigible to play in the County Championships. Individuals can also join the County Members Association and are then also eligible to play in the six Yorkshire County Members Spring, Summmer and Autumn events, as well as the end of season invitation event. Within the Yorkshire Union there are eight District Unions - Bradford, East Riding, Halifax- Huddersfield, Harrogate, Leeds, Sheffield, Teesside and York. An Inter District League which was initiated in 1987 and which is a scratch League with twelve players per side. The format is six morning foursomes and twelve afternoon singles. York won last won this in 2007. An Inter District Junior League of the same format, initiated in 1993. Much of the information on this page has been provided by Mike Thompson who has been non-playing IDU team Captain in 202 of the events since 1986 and has attended in all 38 six man team championships since its inception in 1973.